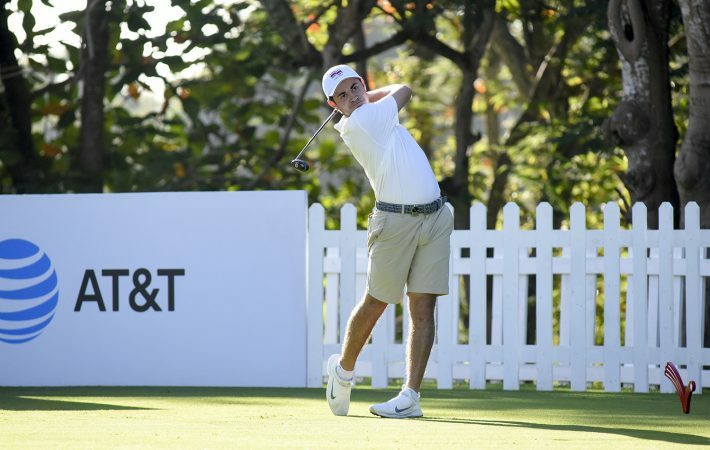 Dominican Juan Cayro Delgado moved into a one-shot lead after the second round of the Latin America Amateur Championship at Casa de Campo’s Teeth of the Dog today. The 17-year-old picked up five birdies with just a solitary dropped shot at the par-4 8th on his way to a 4-under-par 68, which took him to 7-under 137 for the championship. Delgado is committed to playing golf for the University of Central Florida. 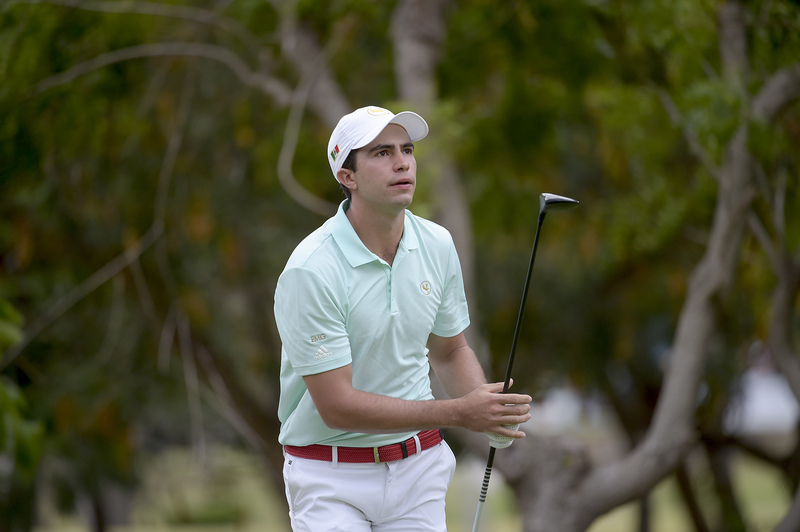 First-round leader Alvaro Ortiz, from Mexico, ground out a level par 72 to stay at 6-under-par, one off the lead. The 23-year-old scored birdies at the 2nd and 7th and showed composure to recover from a double bogey six at the par four 6th and a further dropped shot at the 8th to produce a 1-under back nine. 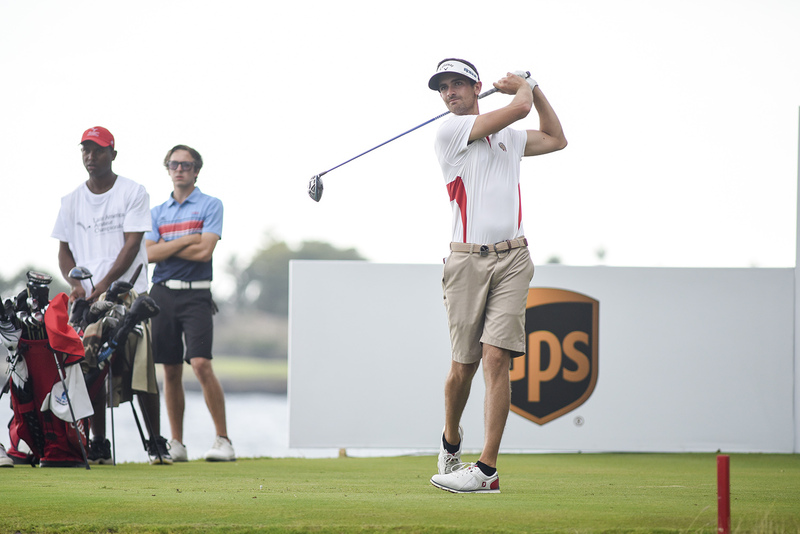 Peru’s Luis Fernando Barco is on the same mark after a 3-under-par 69. 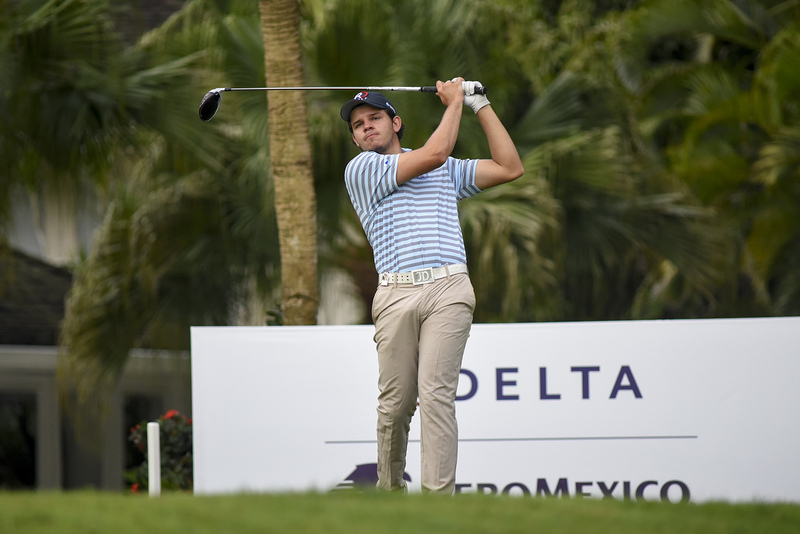 The 2018 Mexican Amateur Champion enjoyed a mixed front nine to be level at the turn but then moved up a gear to card three birdies on the way in. Barco’s compatriot Julian Perico produced the lowest round of the championship so far with a 7-under-par 65 to move to two-under for the championship. Starting at the 10th, he raced to 5-under for the day at the turn and bounced back from a bogey at the par-4 6th, his 15th, with two closing birdies. 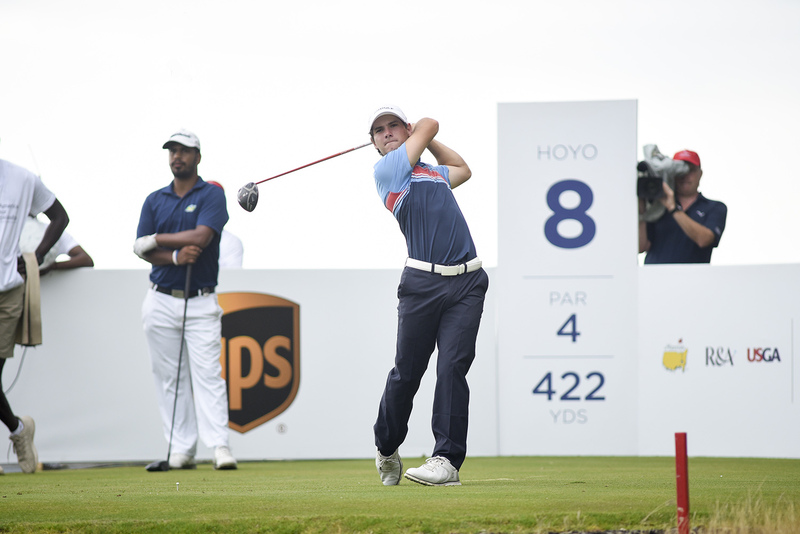 Chilean Agustin Errazuriz stayed in contention at 4-under alongside Andrey Borges Xavier from Brazil. Jorge Villar from Mexico and Dominican Enrique Valverde are a shot further back. The cut mark fell at 5-over-par with 50 players progressing to the final two rounds. Three players from the Dominican Republic advanced: JJ Guerra (+1, T-23), Juan Cayro Delgado (-7, first) and Enrique Valverde (-3, T-6). With his second-round 4-under 68, 17-year-old Juan Cayro Delgado of the Dominican Republic passed Alvaro Ortiz of Mexico to become the leader when posted a 36-hole score of 137, one stroke off the tournament record of 136, which is held by Andre Tourinho of Brazil in 2015. It marks the first time a Dominican player has held the lead after a round in 18 rounds of the LAAC. 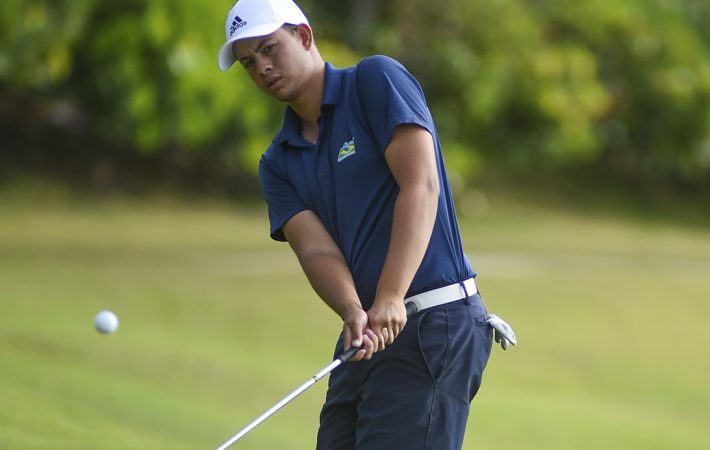 In his first LAAC, Delgado led the scoring for the home nation team of nine players and set the Dominican record (68) for lowest individual score in five LAACs. 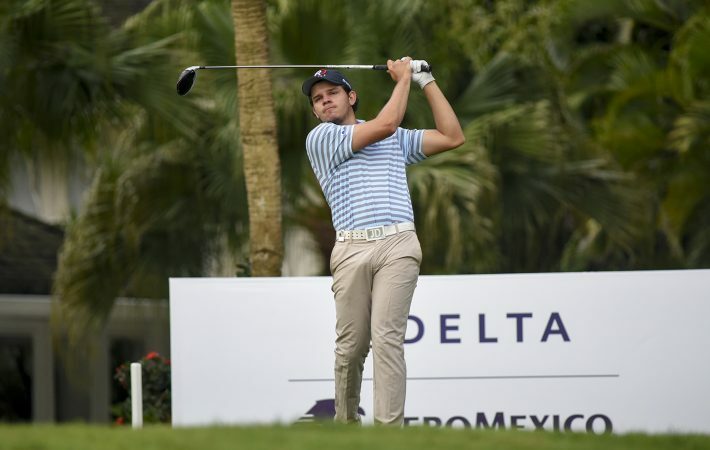 Mexico’s two-time runner-up Alvaro Ortiz, who held the first-round lead, posted a solid even-par 72 to share second-place with Luis Fernando Barco of Peru, who holds the highest place (#24) of the 108 players in the field in the World Amateur Golf Ranking. Barco, who finished T3 in 2016 at Casa de Campo, followed his first-round 69 with another 69. Toto Gana of Chile, the 2017 champion, posted a 2-under-par 70 for the best score of the three champions in the field. Paul Chaplet of Costa Rica, the winner in 2016 at Casa de Campo, followed a first-round 76 with an even-par 72 to make the cut but 2015 champion Matias Dominguez missed it after a second-round 84 resulted in a 36-hole score of 158. Julian Perico of Peru shot the lowest round of the championship thus far, a 7-under 65 that included eight birdies and a bogey, just one away from his lowest score in the LAAC, a 64 in the first round in 2017. The 65 ties the second-lowest second-round score in LAAC history, only one stroke away from Joaquin Niemann’s 64 last year. It is also tied for the third-lowest round in LAAC history, just two strokes off the record-low of 63 shot by 2018 champion Niemann in the final round. The 65 was a 12-stroke improvement from his first-round 77 and his eight birdies are one away from the tournament record of nine in one round held by a pair of Argentines: Joaquin Bonjour in the second round in 2015 and Alejandro Tosti in the second round in 2016. 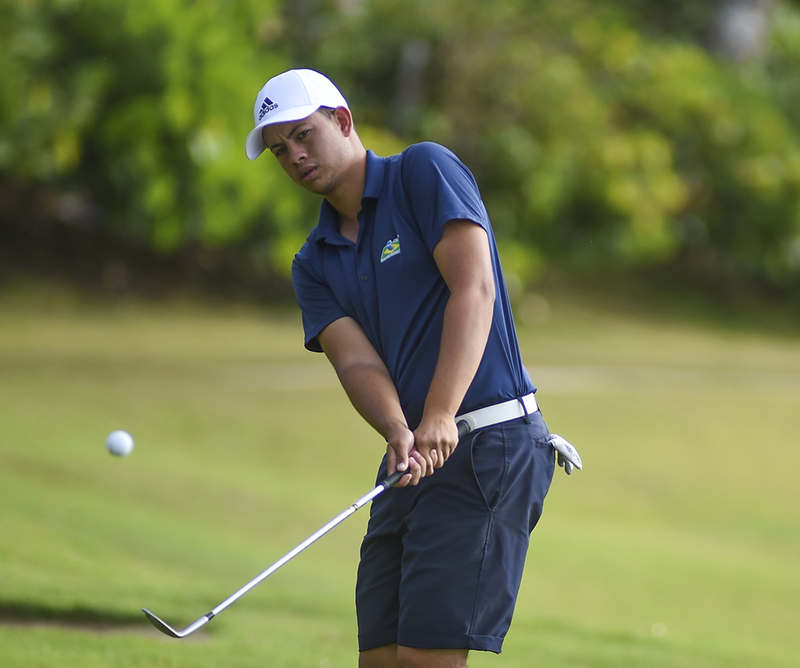 Perico was 5-under-par 31 through nine holes in Round 2, which ties for the lowest first nine in LAAC history. The record is shared by Joaquin Bonjour of Argentina (third round in 2015) and Miguel Ordonez of Panama (first round in 2017). Perico also holds the tournament record for lowest nine holes – 29 on his second nine in the first round in 2017. In a valiant effort to make the cut, Walker Campbell of Bermuda followed his first-round 84 with a 4-under-par 68 for a 16-stroke difference, which is the tournament record for largest turnaround, bettering the 14-stroke improvement (92-78) of Henry Kattan of Honduras in 2018. Luis Gagne of Costa Rica, the co-low amateur at the 2018 U.S. Open, is playing in his first LAAC and safely made the cut with scores of 72-70. He was the runner-up in last week’s South American Amateur. He is ranked #37 in the World Amateur Golf Ranking. 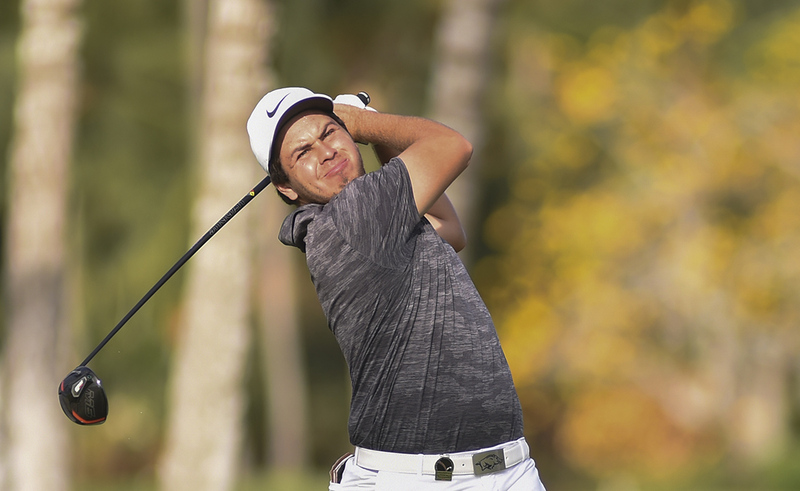 Also in his first LAAC,17-year-old Andrey Borges Xavier of Brazil shot a 6-under-par 66 to move into a tie for fourth-place on the leaderboard. 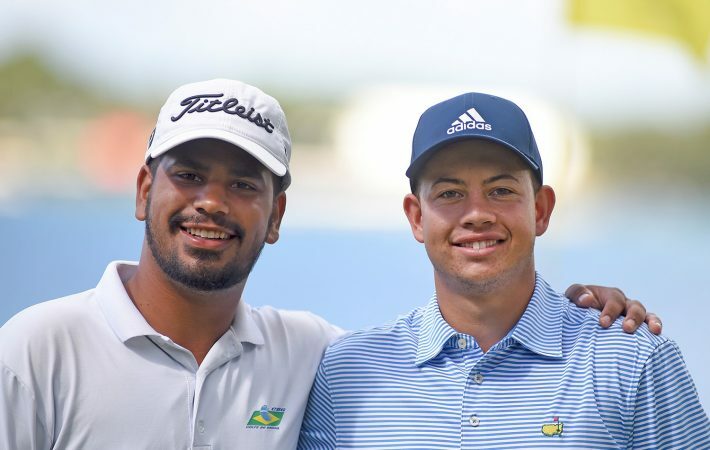 Through 36 holes, the most birdies have been logged by Ivan Camilo Ramirez of Colombia (12) and the most eagles were recorded by Borges Xavier of Brazil (two). All five players from Lynn University (past, present and future) made the cut. In calmer conditions for most of the day resulted in 27 sub-par rounds in Round 2 compared to 12 in Round 1 and surpassed the mark for the second round (17 in 2018) and any round (22 in the first round in 2015).